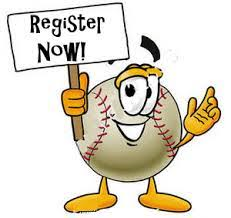 Click the banner on the home page to register for 2019 East Twins Babe Ruth season. Registration for the East Twins 2019 season is now underway. Click on the banner on the homepage to register. You will need to create an account if you don't already have one. Players who were on a 14/15 yr. old team last season will need to re-register, but do not have to tryout, they return to their team from last season. - All player ages are determined by whatever their age is on 4/30/19. - Players who are 13 will be allowed to tryout for the 14/15 yr. old league. If they are drafted they will have 3 years of eligibility in the 14/15 yr. old league. If they do not get drafted they would then be allowed to try out for the ET 13 yr. old team or join one of the intact teams. Players who are 12 may play up in the 13 yr. old league. **If you are 12 or 13 & intend to tryout up, please indicate that on your registration form. - Tryouts for 14/15 yr old players will begin on Saturday, April 13. Players should arrive early to have their birth certificates checked (must be original or certified copy!) & get their tryout number. There will be 5 tryout sessions running from Saturday, April 13 through Saturday, April 20. Tryouts for the ET13 yr old teams will be held April 18-20. The full tryout schedules will be emailed to all registered players & posted on our web site. A player must attend at least half of the available tryouts to be eligible to be drafted. Players who are playing on school teams should attend their school games/practices & then either come late or attend a tryout session on a different night. All players trying out must have their birth certificate verified. The birth certificate must be either an original or a certified raised seal copy, photo copies are not acceptable. These will be checked & returned immediately. Players who have played in an ET sponsored league (Cal Ripken or 13’s) are on file & do not need to be rechecked. - The draft for the 14/15 yr. old league will be held following tryouts. All players who are selected will receive a phone call and rosters will be posted to the web site the following day. - There is a mandatory parent meeting on Wednesday, April 24, 6:00 pm @ Presentation. All fees will be collected then. We will cover some league requirements & then break into team meetings. Players & parents should make every effort to attend! - There will be four or five teams at the 14/15 yr. old level. The tryouts for 13’s are for the “East Twins” sponsored teams. Depending on the number of registered players there is a possibility of a second ET sponsored team. The remainder of the 13 yr. old league is comprised of “intact” teams that come into our league as a full team. We also supplement the schedules with inter-league games versus other local leagues. - The fees for 2019 are: 14/15’s - $400, 13’s - $350. There will be two additional fees added to registration. There will be a $75 deposit for volunteer hours, if you work your required volunteer hours, your $75 will be returned. There will also be a $75 fundraising fee, you will receive 5 raffle tickets to our “Parent’s Night Out” Fundraiser that you can sell to recoup the fundraising fee. Details of these programs will be available at the Parent Meeting. These fees are due at the Parent Meeting outlined above. Each player at the 14/15 level will receive a team hat, t-shirt, pants, performance shirt, belt & socks that are theirs to keep. They will also be outfitted in a top quality jersey that they will be required to return after the season. 13’s players receive hat, t-shirt, performance shirt, pants, jersey, belt & socks. Please do not let the fees impede your child from playing, because we will not. Our treasurer will be on hand at the Parent Meeting & is more than willing to work out any type of payment plans if necessary. - All this info & more is available on our website - www.easttwinsbaseball.com. If you have any questions please email easttwins@aol.com.